The Eckstein Hall Fitness Center is located on the fourth floor. The Fitness Center includes a Workout Room, locker/shower facilities and an Exercise Room where fitness classes are periodically taught. 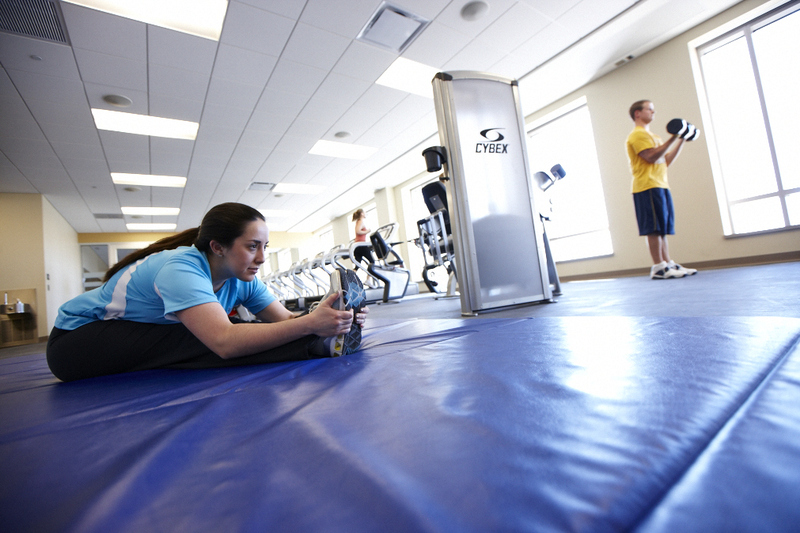 The Fitness Center exists to promote the health and wellness of students and employees of the Law School. To ensure the health and safety of all Fitness Center guests and the quality of all Fitness Center equipment, the Law School requires that all potential users read and agree to all conditions listed in the Eckstein Hall Fitness Center User Agreement. The Fitness Center opens when the Law School opens and closes 30 minutes before the Law School closes. After completing the Fitness Center Policy Agreement, members of the Law School community should be able to access the Fitness Center within two business days. Click below to complete the Agreement. Many law students also utilize the University Rec. Center and/or the Rec. Plex. Information on those facilities and intramural sports can be found online.